One of the top-selling mobile phone apps in the world is designed to either re-affirm your vanity or crush your self-esteem like a bug under a high heel. 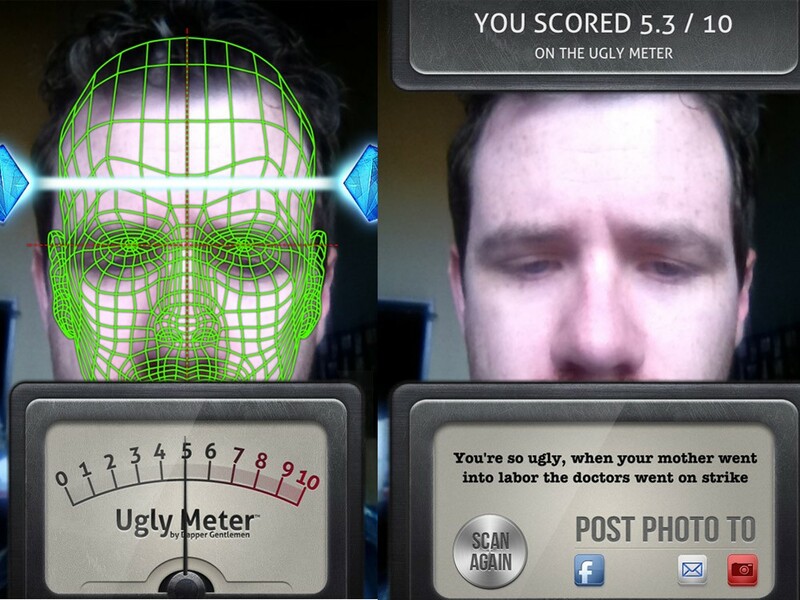 Its makers, Dapper Gentlemen, call it Ugly Meter, and shame on them. Marketed to a world that apparently doesn’t have anything better to do than pay 99 cents to ponder their looks, this app for the iPhone and Android has been downloaded from the iTunes store 6 million times. A thousand years from now, anthropologists will point to this app’s debut as a key milestone in the decline of Western civilization. The Mars Volta makes music that will alienate your friends and offend your enemies. That’s been their MO from the start, and it hasn’t changed on Noctourniquet, their latest offering. For a band that’s styled to be as atypical as possible, this album’s got all the tricks astute listeners will recognize from their previous work: non-sequitur lyrics sung through vocal filters, guitar wankery, drums that do what they want. Unlike earlier work, this has a more stripped-down feeling — likely the result of paring the band members from eight to a more manageable five. The end result? Music that won’t make your grandmother cry but will certainly confuse her. Forget that Kony 2012 crap. Conflict in Central Africa is a complicated affair — certainly more than can be explained in 140 characters or a YouTube video. Case in point: the Democratic Republic of Congo, which has been besmirched by conflict and dictatorship almost continuously since its independence more than 50 years ago. But the bigger picture is about more than war and ill governance. That’s why you owe it to yourself to read Dancing in the Glory of Monsters, an authoritative, comprehensive account of who messed the Congo up, why it stays that way, and how it can be fixed.